On a scale of 1 to 10 for the complexity and divisiveness of issues, Jordan Cove is off the charts. 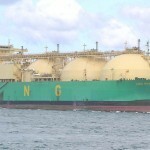 The project, a proposed pipeline between Malin in Klamath County eastern Oregon and Coos Bay on the coast, would pump liquefied natural gas (LNG) to be exported at the International Port of Coos Bay. The pipeline would be a continuation of the Ruby pipeline that stretches from Malin out to Opal, Wyoming which currently serves the natural gas needs of California, Nevada and the Pacific Northwest. On March 11, 2016, the Federal Energy Regulatory Commission (FERC) denied Pacific Connector’s and Jordan Cove’s proposal for the pipeline extension. One could reasonably infer that such a decision was a disappointment to those who stood to benefit from construction contracts and other employment associated with its building and operation. Private landowners who faced eminent domain and environmental activists stood in opposition. To make matters more complicated, the Coquille, Coos, Lower Umpqua and Siuslaw tribes had taken a firm position against the pipeline, despite their standing for monetary gain in the form of increased business at their Coos Bay casinos. The tribes reported confusion with government agency oversight and the need to take into consideration the cultural integrity of the lands as well as native soils and burial grounds. Did the public interest of having a natural gas export terminal and pipeline outweigh the adverse impacts on local landowners and the community? FERC apparently did not think so and Jordan Cove LNG backers will seek a rehearing on the issue. In the meantime, environmental opponents have an opportunity to reinforce their positions as the project was rejected principally because Jordan Cove LNG backers did not substantiate demand for the product abroad – the environmental claims were dismissed as moot. Initially, proponents of LNG pipelines in Oregon supported LNG imports to increase demand and drive down prices. However, since the United States has proved to be a producer, these proponents have flipped to pursue exporting the product. 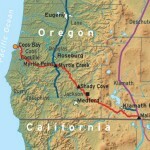 Many factors are at play as to whether a pipeline will be built between Malin and Coos Bay. A different federal administration tied to different billionaire interests may seek to reverse the policies disfavoring the building of such pipelines to export gas and oil. Nevertheless, Oregonians have a moment to think, for themselves, about what an export terminal would mean to them and to the future of their state. Is this a project worth the jobs, investment and manufacturing opportunities that could arise, or is natural gas a doomed product whose potential will dry up? Is eminent domain and individual liberty of the utmost concern in this matter? Or perhaps our looking at Oregon’s environmental future is most crucial. Whatever, the question, every Oregonian has an opportunity to engage, weigh in, and be heard.